Due to the fact that the weather changes every day and that people use our heated clothing for extended periods we have developed temperature controllers so you can control the heat. We have controllers for all 12 volt products. 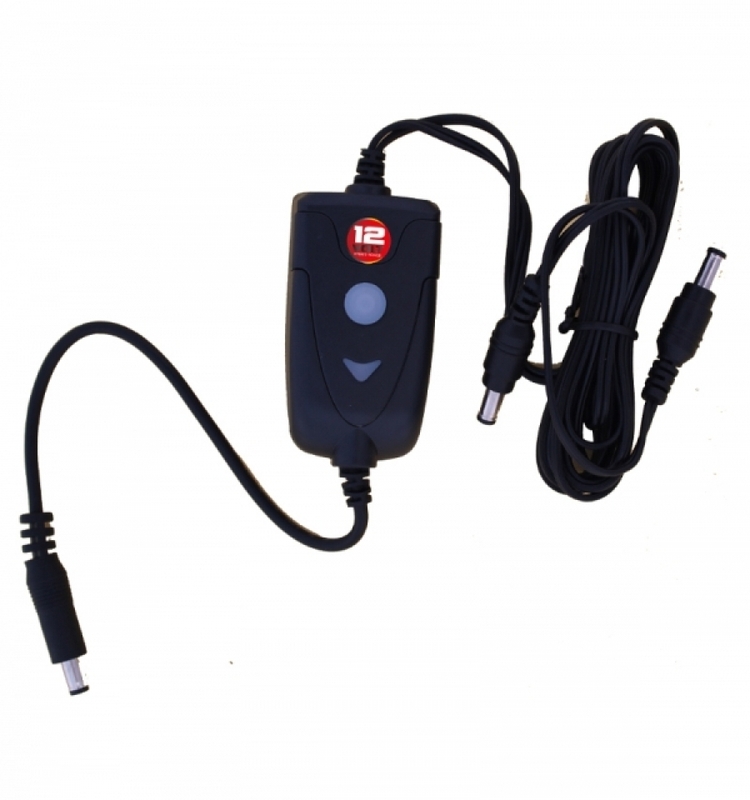 12 volt junior controller: This is a controller developed for all our 12 volt gloves. 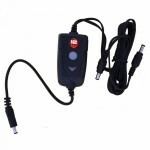 It is a long Y-cable with a built in temperature controller. This controller can only be used for our 12 volt gloves and can not be used for our 12 volt heated jacket, heated pants and heated socks. Also our junior controllers do not work when you connect our 12 volt gloves to a portable 12 volt battery. Single portable temperature controller: This is a controller which can be used when you use just a heated jacket, heated pants or heated socks. It works the same as a junior controller. 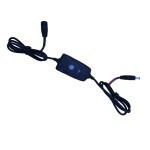 The single controller can also be used when you still use 12 volt gloves with a standard Y-cable or an On/off switch. Digital dual portable temperature controller: This is a digital temperature controller which can be used when you want to adjust the temperature of two or more heated products. The 12 volt controllers cannot be used on our 7 volt products. NOTE! New in our collection is the 7 volt junior controller which can be connected directly to the 12 volt battery cable of a vehicle and converts the 12 volt output of the battery to 7 volt power of the 7 volt heated gloves. 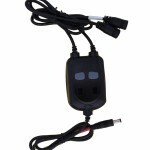 The Gerbing Junior Controller is a long Y-cable with a built in temperature controller with a maximum output of 2 Amps. This junior controller, together with a battery cable are both included when you purchase one of our 12 volt heated gloves. The junior controller does not function when you connect the controller to one of Gerbing’s 12 volt batteries. If you use the B12V-5200 or the B12V-8000 battery than you have to connect the gloves to a normal long Y-cable. We have temperature controllers for all our 12 volt heated products but also built in temperature controllers in our 12 volt batteries and 7 volt batteries. The new digital dual portable temperature controller by Gerbing has the possibility to regulate the temperature of two products seperately. 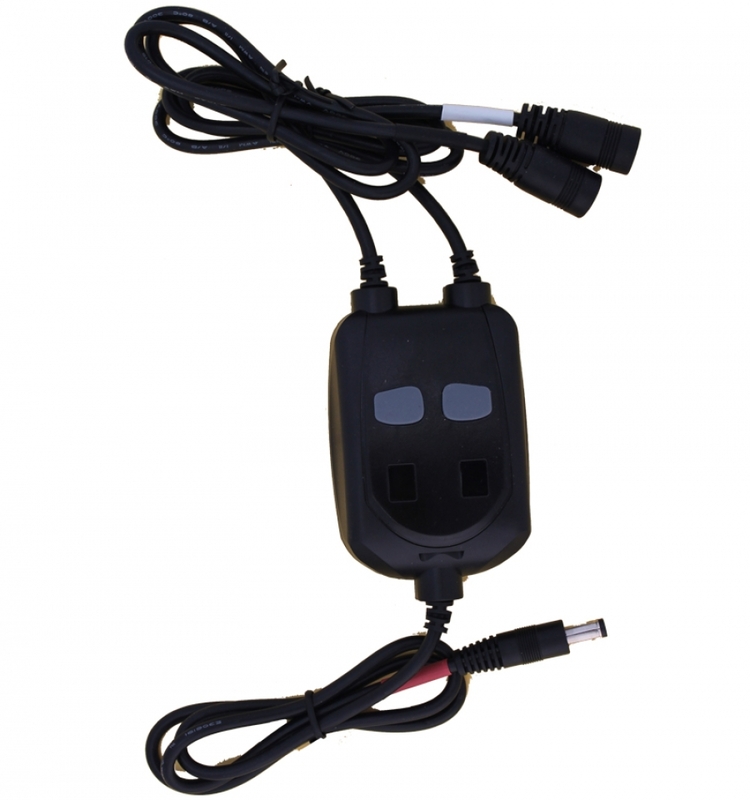 This dual controller can easily be connected straight to the battery cable and to the connection plug of two different items. If you connect the 12 volt heated gloves to the sleeves of the 12 volt heated jacket than you can connect the dual controler to the two plugs on the inside of the heated jacket. Just connect the white cable of the controler to the white cable (powers the jacket) of the heated jacket and connect the black wire to the black connection (powers the gloves) of the heated jacket. Now you can seperately set the temperature for both items. If you connect the heated pants to a heated jacket liner. You can connect the temperature controller the same way as mentioned above. If you also have the heated gloves connected to the heated jacket than you can set the temperature of the jacket seperate from the heated pants and heated gloves. If you use a dual controller together with other items than the controller will always heat the jacket seperately from the other items. It does not matter how many other products you have. The digital dual portable temperature controller has five different settings. When you use the controller for the first time you have to connect it to the battery cable and than press both buttons seperately for a few seconds to activate. The dual controller is designed to remember the last setting. It will automaticly recall the last heat setting when you reconnect to the battery cable. To activate this memory you have to disconnect the controller after use instead of turning it off. Digital controllers ensure that your heated clothing uses only as much power as requested. Note: If you are purchasing a single controller to use with one our jackets which are wired with our Dual 2 wiring systems, you will need to purchase a splitter if you choose to operate other heated clothing with the jacket. The single portable temperature controller developed by Gerbing is designed to be used for the 12 volt heated jacket, 12 volt heated pants and the 12 volt heated socks. The single portable looks almost the same as a junior controller but the cable is a lot shorter. 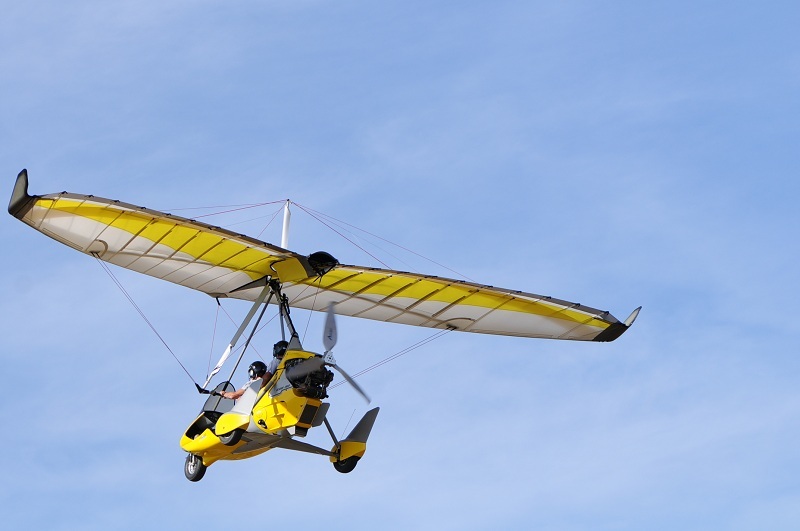 Just connect the single portable directly to the 12 volt battery cable and to the connnection plug of the heated jacket, heated pants or heated socks. Just push the round button for a few seconds and the light will turn red. With the round button you can lower the temperature as you see fit (see colours below). The single portable temperature controller is designed with a last setting memory, you can automaticly recall the last heating setting when you reconnect to the power source. To activate this memory you just disconnect it rather than turn it off. When you use more than one products made by Gerbing we recommend a dual temperature controller. With this controller you can set the temperature of both products seperately. For example, you can connect the heated gloves to a heated jacket and you can lower the temperature of the heated jacket and the temperature of the heated gloves to the max. It is very important for Gerbing to personalize the heat because everybody experiences heat differently. That is why we have temperature controllers for all our 12 volt heated products but also built in temperature controllers in our 12 volt batteries and 7 volt batteries.